This building, at least parts of which were probably built before 1851, was used by Patrick McElroy as a combined store and residence. 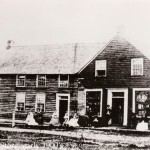 Situated in the heart of Richmond’s commercial area, it was one of four general stores in the immediate area. On the 1851 census, the McElroy building is listed as the site of Orange Lodge #151. The second storey was also home of the Masonic Lodge for several years. From 1905, “Brown Brothers” store was operated here by James and Robert Brown and then later by Robert’s son, George. By 1951 when this building was sold to Gordon Steinburg, the other stores were long gone. Village development to the north and village life in general had made this type of establishment obsolete. Patrick McElroy, a son of Sgt. Henry McElroy a colour sergeant of the 37th regiment, became a merchant in partnership with his father. 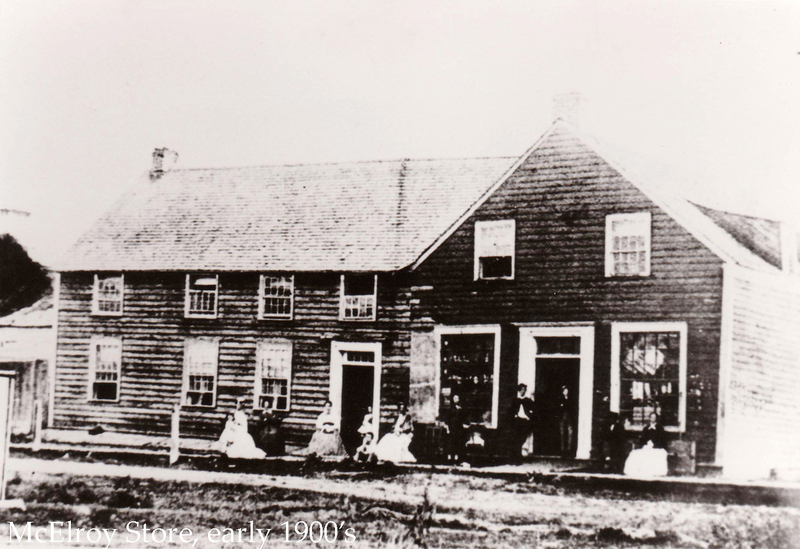 The McEvoy family history states that this store/residence was built from the remnants of Maria Hill’s Masonic Arms Hotel but no collaborating evidence has been unearthed at this time. 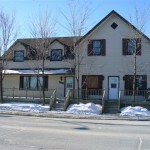 A building of the same general description as the present building ( log & frame, 1 1/2 storeys) is described in the 1851 census. By that time, Patrick had moved beyond being a simple merchant. The “Canada Directory” of 1851 lists P. McElroy as a general merchant and N.P. (Notary Public) at 10 West McBean St. (lot 10 west side). The Canadian Directory for 1857-58 lists him as a village councillor, general merchant, and agent for the International Life Assurance Co. and Equitable Fire Insurance Co. Then, in the 1861 census of which he is the enumerator, Mr. McElroy drops the title of merchant and lists himself as Notary Public. Patrick became the first master of the L.O.L. #151 in 1849 and was also an active member of the Masonic Lodge which rented the area above the store and held meetings in this space from approximately 1866 to 1880. Patrick’s son, William, carried on the family business for a time at the end of the century although William is better remembered as a notary public and insurance agent. In 1904, James & Robert Brown purchased the building and operated the “Brown Brothers” store with the help of their sister, Elizabeth. For a short time, from 1917 to 1924, they were joined by Gordon Danby. 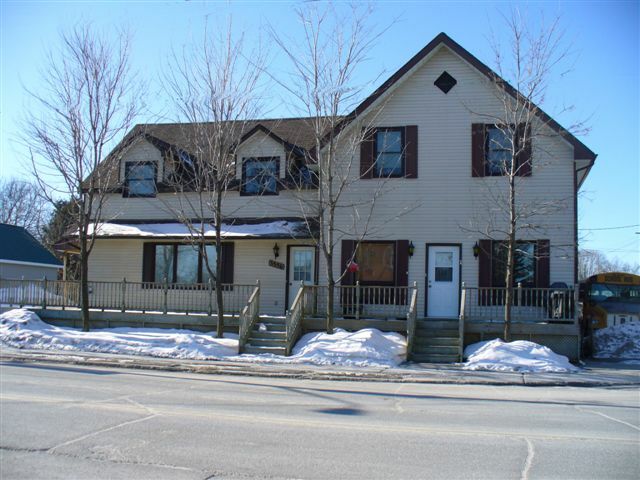 Robert Brown was a merchant for 53 years, school trustee, Chairman of the local school board, member of St. Paul’s United Church, and Superintendent of its Sunday school. Robert Brown’s son, George, continued the family business at this location and another son, Harold, founded Richmond Bakery. From 1951 until 1971 Gordon Steinburg and his family lived in the house and operated the store. In 1971, it was sold to Murray Smith. The store was converted to apartments in the 1980’s by Terry Kirkham. Goulbourn Township Historical Files “McElroy” and “Brown” in the Richmond Branch OPL. Mackay, Robert W. S. compiler. Province of Canada Directory for 1851. Montreal: John Lovell, 1851. This entry was posted in Locations and tagged commercial, store. Bookmark the permalink.